The court martial of an enemy agent was no simple matter. Josef Jakobs was a member of the German military, the English had decided that he could be tried by a court martial. But in order to comply with military law, Josef needed to have a commanding officer who could implement the proceedings. In late July, Josef Jakobs was attached to the Grenadier Guards for disciplinary purposes, which meant that Lt. Col. George Mervyn Cornish, Officer Commanding Holding Battalion Grenadier Guards, was now Josef's commanding officer. George was born on 11 September 1884 in Yarmouth, Norfolkshire, nestled on the shores of the North Sea. Yarmouth missed out on being the easternmost point in England by just a few metres, that honour went to Lowestoft, a town a few kilometres south of Yarmouth. Young George was the first child of Australian expats, Lt. George William Cornish and Maud Ethel Nathan. George Sr. had a most interesting career. In 1877, at the tender age of 17, George Sr. received a commission in the Royal Navy as a Midshipman. By 1879, George Sr. was serving on Her Majesty's frigate, the Raleigh. George was promoted to sub-lieutenant in 1881, and by 1884, George Sr was serving on the Corvette Briton. A promotion to Lieutenant followed in 1885. At some point, George Sr. married Maud and the young couple moved to England. They moved around a fair bit as George Sr's postings took him to various coastal stations in England. George Sr. and Maud had a second child in 1897. Young Norah Brooking Cornish was born in Weymouth on the Dorset coast. Four years later, the young family was living in Youghal, County Cork in Ireland. They were evidently fairly well off, for the household included a couple of cooks, a nanny and a coachman. At the time, George Sr. was serving as a Lieutenant within the Royal Navy and was a Divisional Officer of the Coast Guard. In 1906, George Sr. retired from the Royal Navy with the rank of Commander and the family settled down in Westgate-on-Sea, Kent. One would expect that young George, with such a sea-faring history in his family would have followed in his father's footsteps, but George was not a sailor. By 1911, George was attending Sherbourne School, a private boy's school in northwest Dorset. A decade later, young Alan Turing would attend the same school and go on to become England's best code-breaker during World War II. At Sherbourne, George became an avid cricket player and would continue to play during his military career. In 1914, with the outbreak of war, George enlisted in the Army as a volunteer. He started off at the bottom of the ladder: a Private in 28th (County of London) Battalion of The London Regiment, but his prospects for advancement looked good. 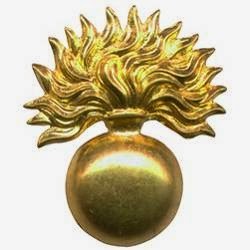 Known as the Artist's Rifles, the 28th Battalion served as a pool from which the Army drew new officers. George was sent to France on 6 December, 1914, and displayed a certain degree of leadership and courage. On 15 January, 1916, young George was picked out of the enlisted ranks and given a commission as a temporary Second Lieutenant in the Grenadier Guards. In late September, 1916, George was wounded during an offensive with the the 3rd Battalion Grenadier Guards at the Somme. George and his battalion were sent over the top as part of a nighttime attack to clear out some German posts. Of the 22 officers who took part in the attack, 17 were wounded or killed. George, "though twice wounded and streaming with blood, continued to lead the advance. Not till after the trench was firmly in our hands did he allow himself to be taken to the dressing station" (Gazette). George had "behaved with great gallantry" and was recommended for, and eventually awarded, a Military Cross. In November, George was promoted to temporary Lieutenant (effective 26 January, 1916). George went on to survive the war and was appointed a Captain in the Grenadier Guards on 1 September, 1923. A couple of years later, he was appointed Adjutant to vice Captain J.A. Lloyd. In 1929, George was seconded from the Grenadier Guards to serve under the Colonial Office. What that actually entailed was a mystery. In 1938, George, now a Major, returned to London from Jamaica and took up residence at 417 Nell Gwynn House in Chelsea, a few blocks from the Chelsea Barracks. Unlike many of his military brethern, George apparently never married before the war. His first, and only love, was the Grenadier Guards. On 1 August, 1939, George was appointed Lt. Colonel and given command of the 2nd Battalion Grenadier Guards. His battalion was quickly sent to France where, on 12 September, 1939, it was inspected by His Majesty the King. On 20 April, 1940, George was transferred back to London where he was given command of the Holding Battalion Grenadier Guards, a move that would save him from the humiliating evacuation at Dunkirk in June 1940. A year later, in July 1941, George was appointed an Officer of the Most Excellent Order of the British Empire (OBE). After the war, George retired from the Army and eventually passed away in Truro, Cornwall, the town in which his parents had eventually settled. There is some evidence that in 1947 he may have married one Josephine Phyllis Carlisle. Ancestry.co.uk - Birth, Marriage, Death, Census records, Passenger Lists. 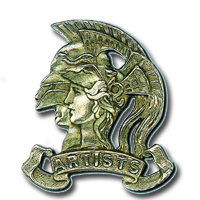 Artists Rifles. Regimental Roll of Honour and War Record 1914-1919, S. Stagoll Higham (ed.) 1922. London Gazette - various notices. Navy List - various years. World War 2 Guards website.